Saw the above image on the New York Times' website and thought it was awesome. Wanted to mention it here because it involves one of the sneakiest way to mislead people about data. The players' heights change according to the number of mentions but the players increase in proportion. This means that when we view the graph our brains intuitively compares the players by volume and this causes the differences at the top to appear greater. 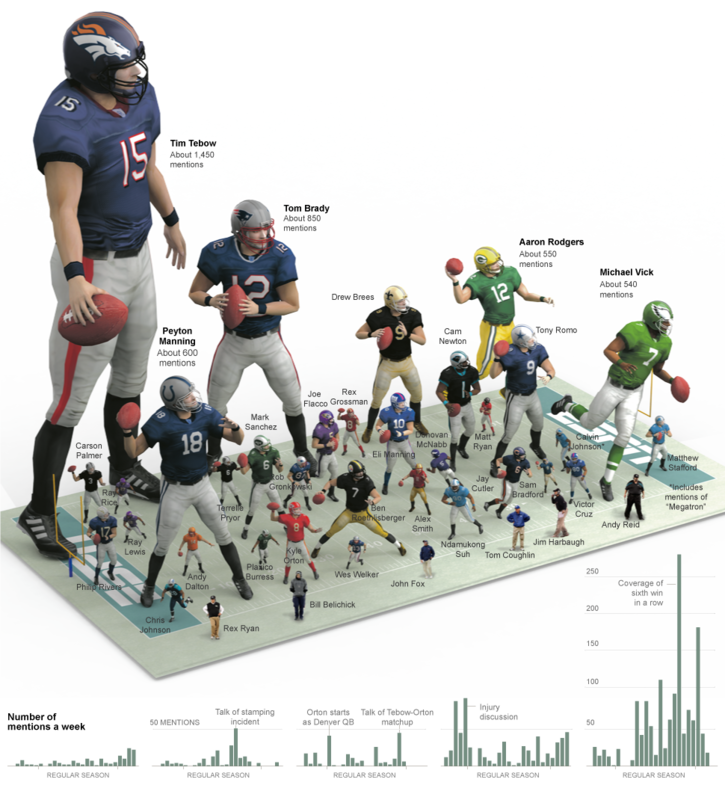 For example Tebow should be 1.71 times Brady and Brady should be 1.57 times Vick. Yet the Tebow-Brady volume differential appears to be greater than that.